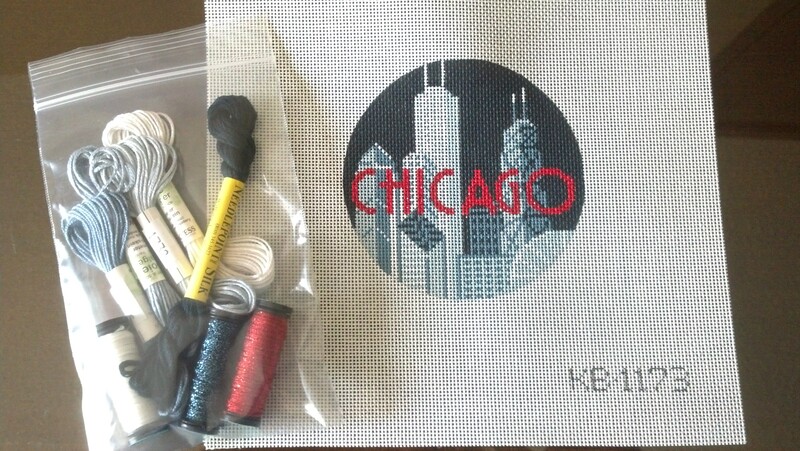 North Shore Needleworks had some pre-kitted Chicago ornaments & I got one of the last (Fri afternoon)! It is by Kirk & Bradley. I got soie d’alger & Needlepoint Inc Silk which I have not worked with much so that’ll be fun.